The Australian Open has followed Wimbledon by introducing final-set tiebreaks for matches at next month’s tournament. But, while Wimbledon will have a first-to-seven-points tiebreak at 12-12, Australian Open matches which go the distance will be decided by a first-to-10-points tie-break at 6-6. The US Open was the first grand slam to introduce final-set tiebreaks, with a first-to-seven-points game played at 6-6, meaning the three tournaments will all use a different format. The French Open is now the only slam to use a long deciding set. The news comes at the end of a year where the divisions between tennis’ various governing bodies have become significantly more entrenched despite pledges to work together in the interests of the sport. 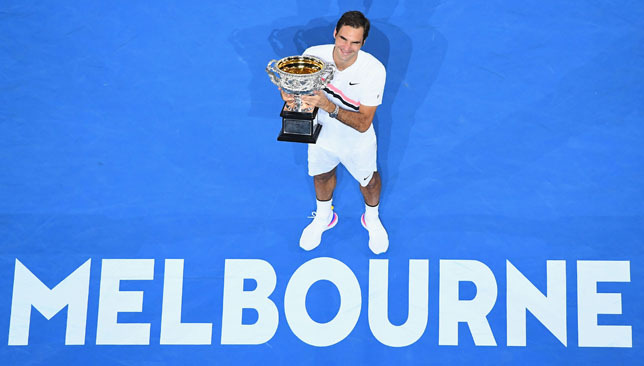 Tournament director Craig Tiley said the move came after the most extensive consultation in the Australian Open’s history. He added: “We asked the players – both past and present – commentators, agents and TV analysts whether they wanted to play an advantage final set or not, and went from there. “We went with a 10-point tiebreak at six games all in the final set to ensure the fans still get a special finale to these often epic contests, with the longer tiebreak still then allowing for that one final twist or change of momentum in the contest. The longest Australian Open match in terms of games contested since the introduction of tiebreaks in the first four sets was played in the second round in 2017 when Ivo Karlovic defeated Horacio Zeballos 22-20 in the fifth set. The 2019 tournament begins on January 14. 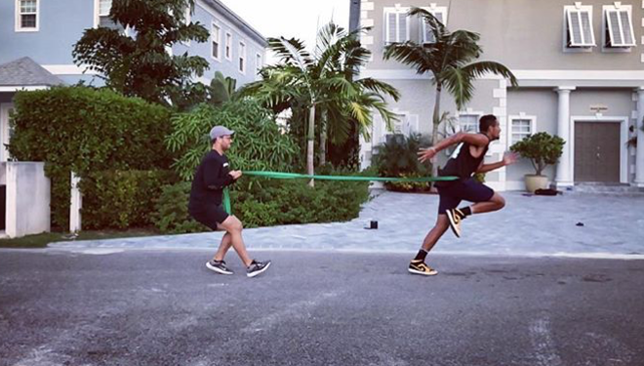 Rezazadeh in a training session with Kyrgios (Credit: Instagram/@ashconrezazadeh). Those were Nick Kyrgios’ words in a piece he wrote for PlayersVoice when describing the impact his strength and conditioning coach Ashcon Rezazadeh has had on him this season. Mostly coachless for the past three and a half years, Kyrgios was initially reluctant to add a new member to his small team. But with some pressure from his mother Norlaila and his agent John Morris, the talented Aussie hired Rezazadeh after Miami last April, to help him with his physical training and rehab. The pair struck up a bond over the past few months and are currently in Canberra getting Kyrgios ready for 2019. “He’s only a couple of years older than me but he’s really mature. I said to mum, ‘Why am I not like that?’” Kyrgios recalls in his PlayersVoice piece. Rezazadeh is only 24, but is already an established name in the strength and conditioning world. He ventured into tennis in 2015, working with Great Britain’s Dan Evans, and later with two-time Grand Slam champion Victoria Azarenka, among others. He also worked with boxing world heavyweight champion Anthony Joshua. Born in Birmingham, UK, to Iranian parents, Rezazadeh has an infectious energy that is noticeable the second you start talking to him. You quickly understand why he was able to get Kyrgios to enjoy going to the gym and how he finds pleasure in motivating people to set goals and figure out a way to achieve them. “He’s been awesome. He’s been a major part of me grinding out these weeks. He was with me when I had elbow issues, and he was there with me during the weeks, during the rehab. He’s been through a lot of tough times already. He’s someone I get along with well. For me, he’s been more than strength and conditioning. He does a lot of other things for me, and he’s a really good guy,” Kyrgios said of Rezazadeh in a press conference in Cincinnati last August. Starting next year, Rezazadeh hopes to do even more, not just for Kyrgios, but for a much wider community. He plans on launching a new concept, which he has dubbed ‘Citizens of Society’, where he hopes to promote mental health and well being through health and fitness. Alongside his commitment to Kyrgios on tour, Rezazadeh wants to host meet-ups at tournaments for people who are lacking motivation or are struggling mentally in one way or another, and will offer guidance based on his experience in the fitness industry. “What I want to do is kind of give back to people, especially the people coming to watch tennis,” Rezazadeh told Sport360 in London last month. “They’re fans of tennis, or have an interest in sport or they like a certain player, or they want to be a tennis player one day. So what I want to do is take that concept and take it on tour in the sense that, for every tournament that I’m at, whether it’s feasible or not, but potentially at every tournament I’m at, setting up a community via social media where we’ll say where we’ll be at that tournament, and create something where I can give back and take two, three, four fans from that tournament, try to meet with them personally. “Whether it’s nutrition, whether it’s the gym, whether it’s thinking in a certain type of mind frame. And I’m going to say, ‘I’m not a specialist in psychology’. If you can speak to them at a level that they understand, for me that’s the most important, that relatability. “If someone can relate to me, or someone can relate to you, I feel that we can get along quite well. He wants to encourage people to talk about their issues, without worrying about being judged or perceived differently by others. “The basis of that name, ‘Citizens of Society’, is just relatable to the world, it gives nobody a category, it’s just people of the world. The message behind this whole thing is: Keep things simple, things don’t need to be complicated, have a goal, figure out how you’re going to get there, enjoy it as it runs,” he explains. Rezazadeh’s fitness journey started from a young age and he recounts his own battle to lose weight, which eventually led him to getting his qualifications and carving a career as a strength and conditioning expert. “I’m half Iranian, half English. My family, we’re all big eaters, we like food, genetically it’s easier for us to gain weight rather than having fast metabolism. I was very overweight as a kid and it got to a point at the age of 10 I had to go to like, I don’t know how to describe it, but like a fat camp,” he says. “It’s where kids who were in the bracket from the NHS as severely overweight had to go to lose weight because your health is at severe danger. “I loved tennis, I loved all sports, but I couldn’t really perform at a level – I’ve got pictures I don’t show anyone. You see even now I still get embarrassed about that, where I shouldn’t be. I’m actually proud of the stuff I’ve accomplished because at the end I lost a lot of weight. “During that time, even at 11, 12, nobody told me at the time, but I look back now and I was depressed then. Obviously I had a very bubbly personality and I always got along with everyone but socially I didn’t really interact with many kids my age because I just physically couldn’t do the stuff they could do. Rezazadeh lost weight with encouragement from his brother, who would drag him out of bed before school each morning to exercise. “I’d just walk at that point because I couldn’t really do anything. If it weren’t for him honestly I don’t know where I’d be right now,” he adds. “And then from there I just started taking more interest – at 15, 16, I kind of went the other way. And that’s why I also know, as much as health and fitness has a positive impact, you can get obsessive over it, you can shift the other way and go from eating everything to eating nothing because you’re scared to gain weight. Through ‘Citizens of Society’, Rezazadeh hopes he can provide some guidance for people to find that balance. He will reveal more details about the project in the coming weeks and isn’t necessarily setting a specific target when it comes to the number of people he’d like to show up. “If I can help one person, and that person could help another person, helping others to help others, that’s the message,” he explains. “If I can help somebody get better in Australia, if I can help in New York, Mallorca, wherever it may be, for me it’s a win. As much as I’m helping them, they’re helping me. You can follow Rezazadeh on Twitter and Instagram @ashconrezazadeh. On the up: Donna Vekic. It is an all too familiar story. A player shows tremendous promise as a young teen, grabs headlines and makes waves on the tennis circuit. Expectations rise, pressure heaps, and that budding talent starts taking multiple detours on the road to success. Donna Vekic is only 22 years old, but she already feels like she’s seen it and done it all. At 16, she reached the final as a qualifier in Tashkent in 2012, which was her first-ever WTA main draw appearance. At 17, she became the youngest WTA title winner in eight years when she hoisted the trophy in Kuala Lumpur. Legends like Chris Evert, who was Vekic’s favourite player growing up, predicted a top-10 career for the Croatian; others dubbed her the ‘next Maria Sharapova’. But talent and hype can only take a player so far and Vekic admittedly had to go through numerous trials and tribulations on tour before she finally coming into her own these past couple of seasons. She picked up her second WTA title in Nottingham last year, made the fourth round at a major for the first time at Wimbledon last July, and lost a close final to Svetlana Kuznetsova – after holding four match points – in Washington a few weeks later. Vekic ends her 2018 at a career-high 34 in the world rankings and could very much secure a seeding at the Australian Open if she has a strong first week of 2019. “I feel like I kind of made the next step this year. My goal at the beginning of the year was to make second week of a Grand Slam and I did that at Wimbledon and after that that gave me a lot of confidence and I changed a little bit mentally, I believe in myself a lot more,” Vekic told Sport360 during the Asian swing earlier this fall. That mentality was on full display when Vekic defeated Sloane Stephens (No. 9), Johanna Konta (No. 43) and Caroline Garcia (No. 4) back-to-back to reach the semi-finals in Tokyo in September. It was another reassuring week for the Monaco-based Vekic, who can now look back at her journey with perspective and clarity. “There were lots of ups and downs. I was very good when I was very young and then I was struggling a little bit at 18, 19, but I feel like at 22 I’ve been through everything,” she explains. “I’ve been through the highs and through the lows and now I’ve matured a lot in the last couple of years and finally in the last two years I have some consistency throughout the year and this is really important to me because before when I used to play finals, I would lose first round the next couple of tournaments. For Vekic, there were many lessons learned during her search for consistency – one of which is the patience and understanding that everything comes in its own time. One person who has helped Vekic stay positive this season, and not get down on herself too much, is her coach Torben Beltz, who joined her team at the end of 2017, after parting ways with Angelique Kerber. “I really enjoy working with Torben. We’ve been working together since the offseason last year and we’ve been working really hard. He’s a really positive guy and he has a lot of experience and he’s definitely helped me a lot. Improved my game and gave me some insurance that if you do the right thing then the hard work will pay off and we’ve been working really hard and it’s definitely paying off and I’m really, really happy to be working with him,” says Vekic. The younger generation has been making headway on the women’s tour recently, and there are three players – Naomi Osaka, Daria Kasatkina and Aryna Sabalenka – aged 21-and-under ranked in the top-15. Vekic doesn’t feel like the younger crew is ready to take over just yet though. “Yes there are a lot [of 21-and-under players] in the top-20. There are a few of them winning, like Osaka and [Jelena] Ostapenko last year winning the Slams but you still don’t see it throughout the whole year,” says Vekic. Vekic will begin her 2019 season at the Brisbane International in Australia taking place from December 30 to January 6.